Become the RUNNER that you have always dreamt of being with this 12-week program that will literally take you from couch to the finish line of your first half-marathon. 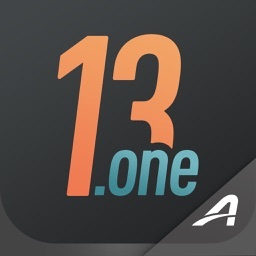 This app has successfully helped tens of thousands of first-time runners complete their first half-marathon and it will do the same for you! 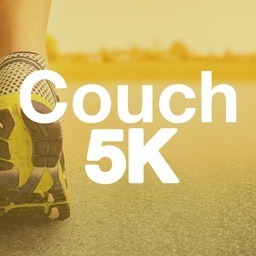 Designed by certified personal trainer, confidence coach and elite runner Trish Blackwell, you will be guided through your training with encouragement and practical tips for learning how to really become a runner. 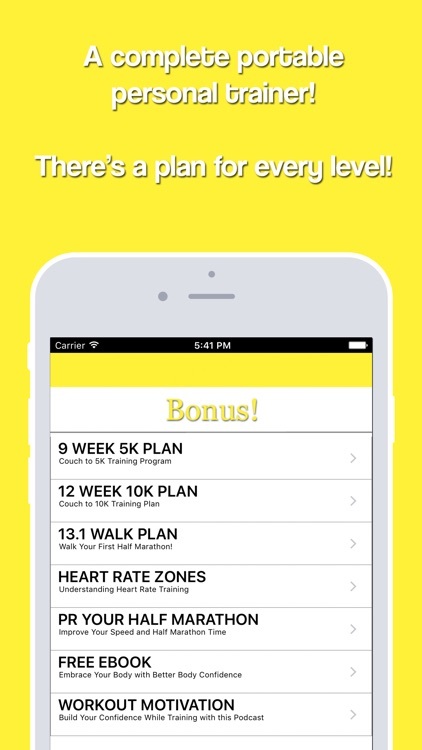 Armed with this app you will be guided not only on how far and often to run, but on how to change your nutrition and lifestyle as well. 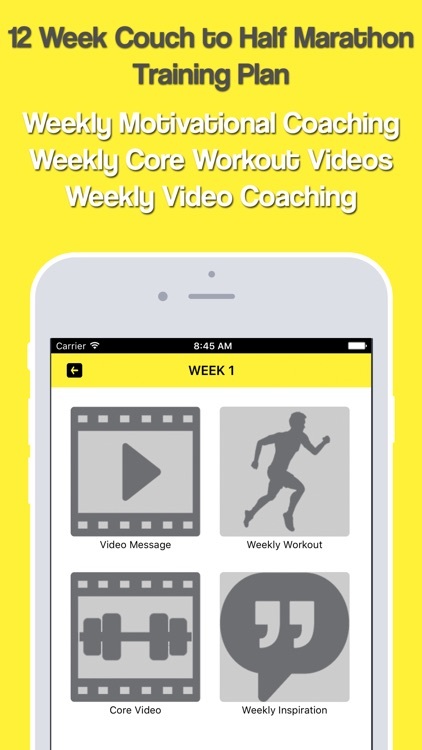 The personalized video coaching from Blackwell is what sets this app apart from the rest of running apps out there - with Couch to Half-Marathon, you get a full running program PLUS a portable personal trainer. Throughout your experience with this 12-week program, your core will tighten, your endurance will increase, you will lose weight, and your confidence will soar as you cross that finish line with confidence. 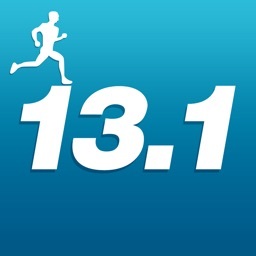 This program permits the user to work towards their goal at their current fitness level and reminds you that whether you walk, run or do a combination of both, what matters is that you complete the mileage, one step at a time. A professional Confidence Coach, Blackwell's app program is distinguishes itself from other programs out there because it focuses on boosting your self-confidence in your ability to train and to consider yourself the athlete that you really are. Additionally, Blackwell makes herself available for questions and support throughout the program. Trish Blackwell provides you with customized programming with each week of your 12-week transformation. Each week you will receive not just your running assignments, but also a weekly core video workout, a weekly motivational talk and weekly running tips and inspiration to keep you motivated and feeling confident. -12-Weekly Core Workout Videos customized to compliment your running progressions. 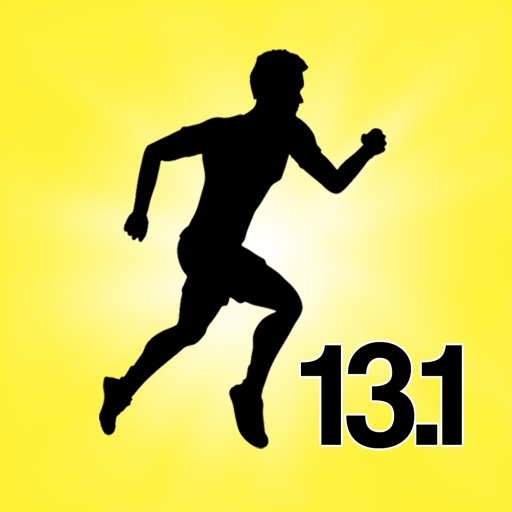 -Extra YouTube Video Access for Supplemental Core Workouts. 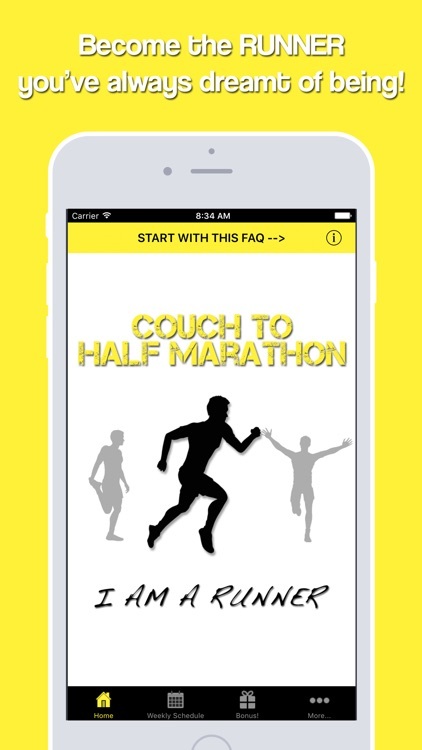 Believe in yourself and you will achieve anything you set your mind to; this Couch to Half Marathon app will help you do just that! Happy running!